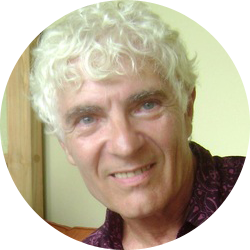 Mario Cossa is a certified Trainer, Educator, and Practitioner in Psychodrama, and Fellow of the American Society for Group Psychotherapy and Psychodrama. He is a leading Drama Therapist and Theatre Educator, specializing in work with adolescent groups and trauma survivors. He has conducted training workshops in psychodrama, action methods, and applied drama all over the world. I am a practitioner and trainer in applied expressive arts. I believe passionately in the ability of the expressive arts to enhance education, foster personal growth, and provide a vehicle for healing. Since July of 2003 I have been traveling internationally, offering trainings in the USA , Canada , the UK , South Africa , Australia , Asia, and New Zealand . I am currently based in the San Francisco Bay Area of California (USA) September through November and in Bali, Indonesia, the rest of the year. MA: I have a Master of Arts Degree in Secondary Education from Goddard College and a Master of Arts Degree in Counseling Psychology with concentrations in Expressive and Group Therapies from Antioch/NE Graduate School. RDT/MT: I am a Registered Drama Therapist/Master Teacher certified by the North American Drama Therapy Association. TEP: I am certified as a Trainer, Educator, and Practitioner in Psychodrama, Sociometry and Group Psychotherapy by the American Board of Examiners in Psychodrama, Sociometry and Group Psychotherapy. CAWT: I have the Australian, nationally recognized, Certificate IV in Assessment and Workplace Training. Here are some further details about my areas of specialty. My primary trainer in psychodrama was Zerka Moreno , co-creator (with her husband, J.L. Moreno) of classical psychodrama, and recognized around the globe as a leader in the field. I also received accreditation as a Trainer in the Therapeutic Spiral Model for the safe utilization of psychodrama with trauma survivors. While working with ACTINGOUT, I developed a unique brand of issue-oriented, audience-interactive, improvisational theatre focusing on contemporary issues such as substance abuse, violence prevention, and HIV. In 14 years of my direction, ACTINGOUT offered over 1,000 performances, presentations and workshops. On some occasions we were brought in to address a particular issue besetting a particular school community (sexual harassment, bigotry), or to serve as Keynote presenters at youth and adult conferences throughout New England . During this time I also was certified as a trainer in a number of science-based, prevention curricula focusing on Violence Prevention, Substance Abuse Prevention, and HIV Prevention/Education. Additionally I have over 40 years experience as a theatre director, actor, and choreographer. I have worked with youth and adults in comedy, drama, and musical theatre productions and have also been a teacher of clowning and circus arts. The Monadnock Region of NH, where I worked for over 30 years, is known throughout the state for both the amount of and effectiveness of collaboration between and among youth service providers. I am proud to have been part of the organizing forces that helped create and develop a cooperative spirit among providers in this region. In 2005 I joined an on-going project at Monash University in Victoria , Australia , bringing action methods to their exploration of issues of internationalization and multiculturalism in higher education. I was excited to conduct a workshop at Monash with representative from several Victoria campuses, their South Africa Campus, a visiting professor from Sweden , and Monash students from both Australia and Russia . I then worked with with Monash staff on an International Conference focusing on these issues, to be held in Malaysia in February, 2006. I have developed a workshop for organizations that employs Role Analysis (as developed by psychodramatists in Australia and New Zealand) to explore the organizational system from a perspective of which organizational and interpersonal roles are present or absent; helpful or hindering; and underdeveloped or overdeveloped. The workshop also focused on issues of role development, role training, and role fatigue.